A trip to Walt Disney World is something the whole family gets excited about as the magic awaits. But to make sure your vacation is even more pixie dusted, here are my top 5 "must-do's" when planning your upcoming trip. 1. Make Dining Reservations - Dining in Walt Disney World is one of the best parts of any visit. From the flavors around the world at Epcot to character dining experiences that will create memories for years to come, the restaurants you choose to visit will be central to your vacation. You can start making dining reservations 180 days before your trip. Booking early will allow you some of the best selections, but don't despair if you miss out on some of your favorites. I was fortunate this trip to find many cancellations as my vacation date drew closer - even scoring a Be Our Guest dinner reservation about a week before we left! Dinner at Be Our Guest Restaurant is one of the toughest dining reservations to get. 2. Research, research, research - Walt Disney World has so much to offer for every age. From the tiniest of travelers to the grandparents joining the adventure, everyone is sure to find something perfect for them. In fact, with so much to offer it can be overwhelming when planning your trip. Take a peek around the Walt Disney World website and visit blogs (like this one!) that may be geared towards your specific age group or traveling needs. 3. When in doubt, ask questions! 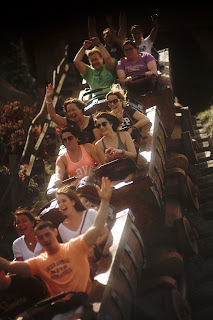 - If you have a specific question or are seeking some great opinions on what not to miss on your trip, stop over to the Disney Parks Moms Panel for assistance. Here, you can browse or search through previously answered questions while also having the option to submit your own question if you can't find what you need. 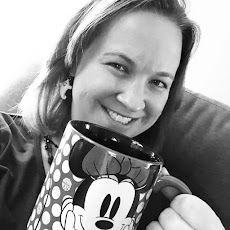 When we were planning our first Disney Cruise Line vacation, I spent a lot of time on this site learning from their wisdom! 4. Don't forget those FastPass+ reservations - Guests staying at a Walt Disney World resort can begin making their FastPass+ reservations 60 days in advance while those staying "off property" can book at 30 days before your trip. Regardless of whether you can start booking at 60 days or 30 days in advance, do it as soon as your window opens to get the best selection. Popular attractions like the Anna and Elsa Meet and Greet at Princess Fairytale Hall in Magic Kingdom often book up quickly! These reservations are not written in stone, so book what you think you need and you can always revisit later if your plans change. Want to enjoy The Seven Dwarfs Mine Train? Better get a FP+ reservation to avoid the hour or so wait! 5. Download the My Disney Experience App - This app is your one-stop-shop for keeping all of your hotel, dining, and FastPass+ reservations together. You can modify plans from the app so if you're out in the parks and need to make changes, it's quick and easy to do so. The app also provides current wait times for rides, show schedules, and park hours. It's the perfect companion for your trip! With so much to see and do at the Walt Disney World Resort, be sure to take your time to research so you can plan the perfect vacation for you and your family!